Luis Jorge Mieses was born in Peru, where he grew up, graduated, and worked as an Industrial Engineer. Mieses used to travel into the jungle frequently where he had the opportunity to preserve the animal bodies through taxidermy. Taxidermy became one of his main hobbies. It required preparation, shaping and molding parts for mounting different animals. Through taxidermy he discovered the fascinating world of sculpture. Since moving to California in 2001, Mieses has devoted his time to sculpture and taxidermy. Mieses conducted extensive research and studies on techniques for making molds and sculptures which led him to the human figure. 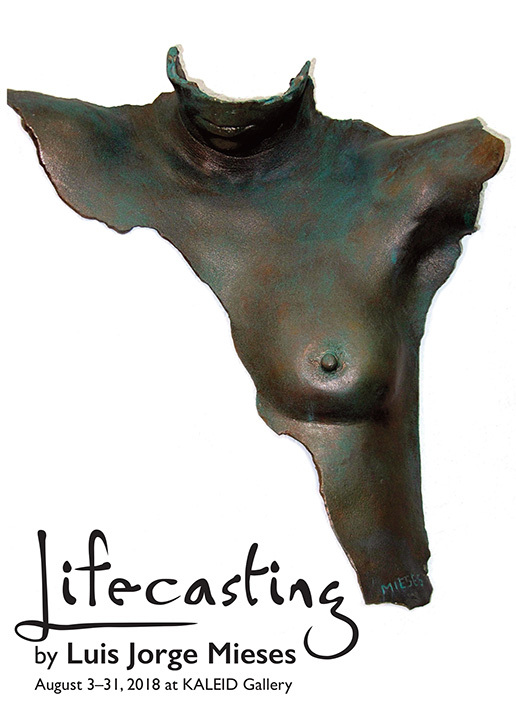 Since then he has devoted his time to Lifecasting; capturing hands, faces, feet and various parts of the human body. Mieses is a distinguished professional in the preparation of life-size sculptures in the Bay Area. His works are owned by many private collectors. Gallery hours: Tuesday–Saturday 12–7pm. Free admission.